Re-Enter, the Man Called Havok! Alex Summers, also known as Havok, is arguably my favorite character from Marvel’s X-Men comic books. Unfortunately, his publication history is defined by long stretches of time off panel dating back to his earliest appearances. The most recent of these absences finally concludes today in the pages of X-Men: Legacy #254, the first chapter of a story called “Five Miles South of the Universe.” In commemoration of his return, we’ve even created a sub-site dedicated to Havok here at MLD as a resource for fellow fans. Havok leaving and returning to the pages of X-Men has been a recurring theme going all the way back to before my time as a fan. After the original X-Men series’ moved to reprints in 1970, Havok, along with the rest of the X-Men, made a handful of appearances in titles throughout the Marvel Universe. 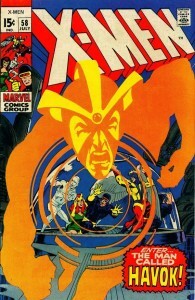 When the series returned to regular publication after 1975’s Giant Size X-Men #1 Havok was not one of the characters that remained with the team. He was not alone in leaving the X-Men at the time, but this began a trend of putting the character on the shelf that continues to today. His absences are often further complicated by the fact his returns find him ready and willing to fight his former friends with mind control typically to blame. Havok’s latest stint in the limbo between pages comes as a consequence of chasing his brother Vulcan into intergalactic space in an effort to stop him from exacting vengeance on the Shi’Ar Empire. This story was the heart of Ed Brubaker’s run on Uncanny X-Men and continued in a handful of miniseries, but Havok’s regular appearances came to an end at the conclusion of Marvel’s cosmic crossover, War of Kings. 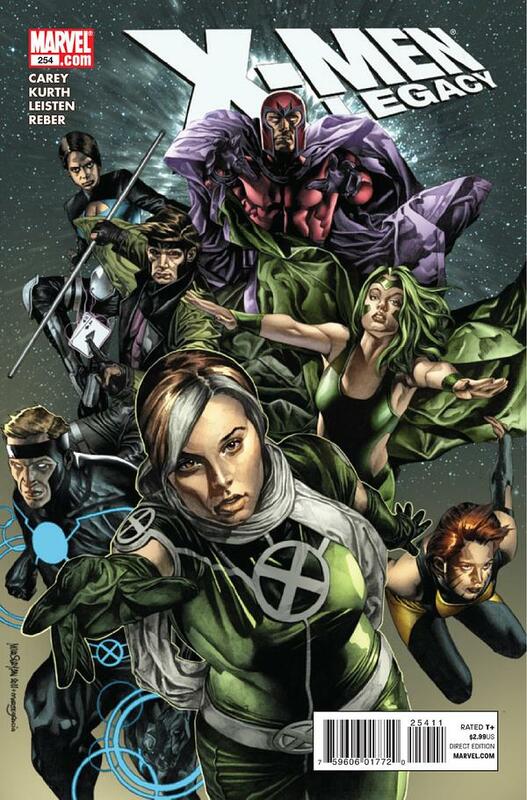 Along with Polaris and Marvel Girl, Havok has only been seen briefly since that time in X-Men: Legacy #250 and it’s clear that the group is in grave danger somewhere in deep space. Even though Havok made a number of appearances during his time among the stars, he hasn’t been a part of the X-Men for a long time. He’s been off planet since before House of M and in that time has missed other major storylines including the Decimation, Messiah Complex, the X-Men’s move to San Francisco, the formation of the mutant nation on Utopia, and Second Coming. He’s also missed former enemies Magneto and Frenzy joining the X-Men, and they’re among the rescue team along with Rogue and Gambit. It should be interesting to see what reaction their presence receives. I cannot wait for Havok to return to the X-Men fold and I couldn’t be happier that Mike Carey is writing this story. I was crushingly disappointed by the announcement of Carey’s final arc on X-Men: Legacy after six years beginning immediately after “Five Miles South of the Universe.” Fortunately, Havok appears to have a solid role in the X-Men’s world following Schism, and is likely siding with Wolverine against his brother, Cyclops. The best part of this announcement is that Havok will be rejoining X-Factor and will once again be written by Peter David. I suppose if Mike Carey can’t guide the future of my favorite X-Man, Peter David is a fantastic alternative.